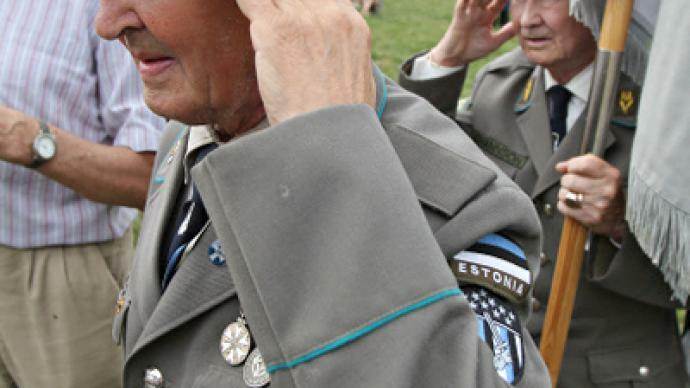 A convention of Estonian SS Division veterans has found its guardian angel in the form of the Estonian authorities, who are protecting it from any unpleasant meddling by the international anti-fascist movement. ­Finnish human rights activist and chairman of Finland’s Anti-fascist Committee, Johan Backman, has been prevented by police from entering Estonia to participate in an anti-nazi rally. He says it's symptomatic of Tallin’s tolerance of Nazism. “I was supposed to participate in demonstrations against the Nazi celebration in Sinemae. The fact that I was stopped at the border today is a clear sign that the Estonian government is protecting the neo-Nazi celebration. Sinemae event is a neo-Nazi celebration that invites extremists and Nazis from all around the world. And they are using Nazi symbols, they are using swastikas. Mainly it is a celebration of SS troops,” concludes Backman. The traditional get-together of the former 20th Waffen Grenadier Division of the SS (1st Estonian) servicemen is being held at Sinimae village where in 1944 Nazi troops, including the Estonian SS division, made a fierce stand against the advancing Red Army. The casualties on both sides reached 200,000 servicemen and 17,000 Red Army soldiers are buried in Sinimae. During WWII, 80,000 Estonians joined the Nazi forces and 3,000 fought against the USSR in the Finnish Army. Conversely, Estonians also made up a 30,000-strong infantry corps which fought on the Red Army side. 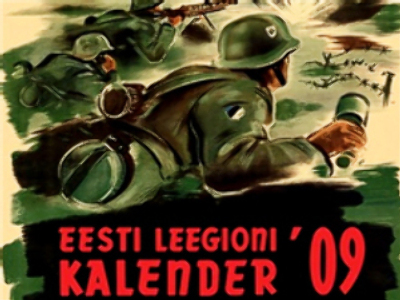 The event in Sinimae is attended each year by Estonia’s Freedom Fighter Union and the Society of Friends of the Estonian Legion who plan to hold a commemorative ceremony, salutary addresses and a military dinner. Executives of Estonia’s ruling Pro Patria Union party are also officially attending the Nazi gathering at Sinemae. The Estonian Night Watch anti-fascist movement usually holds a protest picket nearby. This year, however, the space allocated for the SS get-together has been expanded by a third so anti-fascists won’t be able to rally in direct vision of the Sinimae gathering. Russia’s Foreign Ministry has repeatedly condemned glorification of Nazism in Estonia, but to no end. Since 2005, Russia has regularly prepared draft resolutions to the UN General Assembly condemning the glorification of Nazism, and every year more and more countries support them. During his recent visit to the US, the Estonian PM met with representatives of American Jewish organizations and expressed deep concern that some countries are trying to present Estonia as a state promoting Nazi ideology. In April 2007, the Estonian authorities ordered the dismantling of a Soviet war memorial in the capital, Tallinn, ahead of the May 9 Victory Day widely celebrated in Russia. Thousands of people attempted to protect the monument but police moved in and arrested over 1,000 activists. One Russian national was killed in the disturbances. Finnish priest and activist Juha Molari told RT that it is really surprising that Estonia is so “hysterical” in its support of their SS-Waffen celebration. ”It is really surprising that Estonia has so hysterical reactions in their need [to] support the SS-Waffen celebration. I wrote a RT-column about two weeks ago about these celebrations. And now SS-Waffen celebrations are carried out again in Estonia, but Estonia's security service wrote the prohibition against me to enter the country. Estonia limits the freedom of journalists to report about the political phenomena, if these journalists don't work under the service of Estonian security service and their ideology. ”I had a plan to enter to Estonia and write a RT-column about these SS-Waffen celebrations, feelings, symbols, etc. 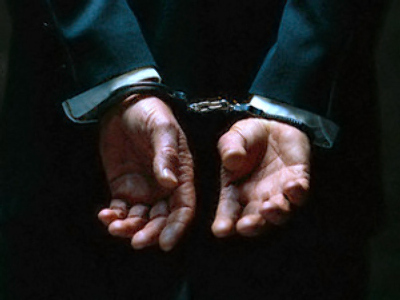 I haven't ever done any crimes in Estonia (or in other country), I am an EU-citizen. Fortunately, I had planned to travel separately from Finnish friends of mine. If did I travel with them on board, now I would sit in a prison cell, together with Dr. Johan Bäckman. ”Johan Bäckman, an adjunct professor at the Helsinki university, was arrested during last night 30th July although his name was not on any "blacklist". Bäckman has never done any crime in Estonia. 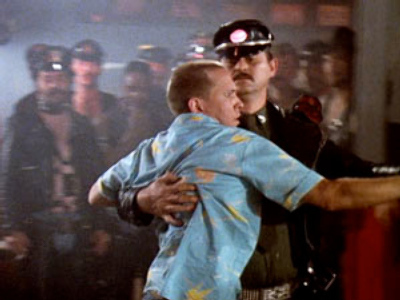 He would have written critically about these Nazi celebrations. 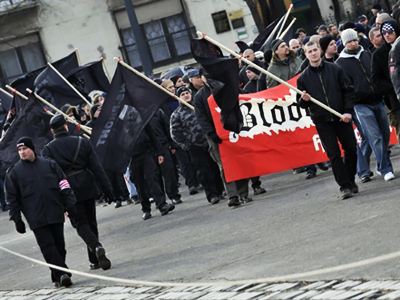 ­“The elites of the region – government, academia, press, intellectuals – have been veering towards far-right ultra-nationalism and trying to re-write history in a way that will cover up their own involvement and collaboration with Nazis,” opines Professor Dovid Katz, expert in the treatment of Holocaust History in the Baltic states, saying that this spirit of historic revisionism feeds right into the new pro-Nazi developments in the eastern part of the EU. “The UN and the EU should definitely condemn the rise of fascism in the Baltic states, all kinds of Nazism glorification and falsification of history,” says Lena Hietanen from the Finnish Anti-Fascist Committee. She blames the EU for being weak and complacent in the face of the rise of neo-Nazi extremism as Western Europe and branded its officials “totally helpless because they do not understand history”.